Officials in charge of getting Tyndall Air Force Base back up and running gave an overview Thursday of where they are now and where they hope to be in the future. The base hosted it's first "Industry Day" since Hurricane Michael severely damaged it in October. 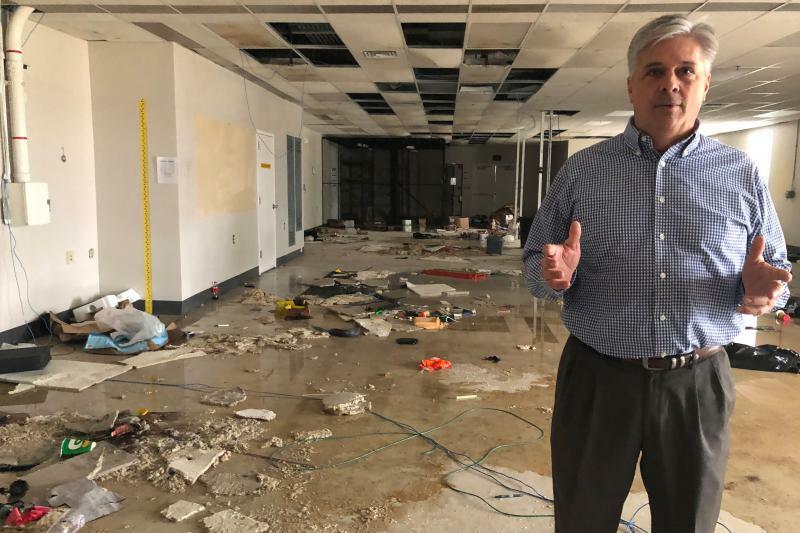 Former Panama City State Representative and current state Chief Financial Officer Jimmy Patronis says Hurricane Michael has given Tyndall an opportunity to start fresh. “The fence at Tyndall air force base was blown away," Patronis said. Patronis says the faster base housing is built, the quicker the surrounding community can return to normal. The federal government has promised to rebuild the base, which was severely damaged during the storm. Reconstruction is expected to cost about $3 billion. Tyndall Air Force Base plans to have another Industry Day in May and along with a design for its new look.